Outrigger Hotels & Resorts is putting its stamp on a popular Thai island and bringing another welcome spot for affordable luxury in Thailand under the name of a trusted brand. 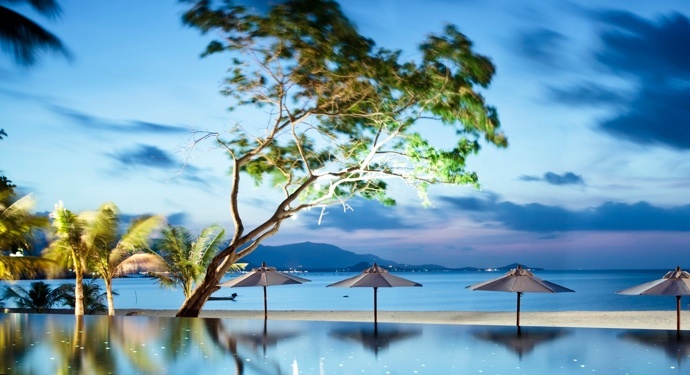 Outrigger Koh Samui Resort and Spa in Bhoput Beach, Koh Samui, has barely opened its doors this month to offer a full complement of resort amenities in a spot perfect for sunsets, walks and meditative moments under the island’s Big Buddha icon. Visitors get the benefits of luxurious pool villas, spacious pool access suites and Beach Deco rooms with Outrigger’s trademark bucket of amenities: a beachside restaurant, a Navasana Wellness Centre, a fitness centre, three swimming pools, including one beachfront pool, two bars and a Kids Club. Wifi is free throughout the resort. Bhoput, on the northeast corner of the island, is five minutes away from Samui airport and 20 minutes from the main tourist area at Chaweng. The location is known for its tranquility, family-focused activities, dramatic sunsets and Big Buddha temple statue overlooking the sea. Koh Samui attracts around one million tourists a year. The island has daily direct flight connections with Singapore, Hong Kong, Bangkok, Phuket, Krabi and Utaphao (Pattaya). Samui is known today for its large variety of beach activities, water sports, ecotours, and sightseeing into the island’s picturesque interior and to the islands and reefs of the adjacent Angthong marine national park. The 81 rooms, suites and private villas are steeped in Thai design but possessing some contemporary flair. Easy “wow” effects can be found in accommodations sporting an outdoor whirlpool spa or a private entrance to resort swimming pools, or luxury villas with vaulted ceilings, exclusive lap pools, and lounging decks. The local “do’s” include a jungle safari through the island’s rainforest interiors on the back of an elephant; scuba diving the coral reefs of Koh Tao; ocean kayaking amid ancient caves and rock formations at Ang Thong National Marine Park; or a private Thai cuisine cooking class with the resident chef. Visitors can also avail themselves of the resort’s access to free shuttle services to Chaweng, the island’s popular town for shopping and dining. This entry was posted in Thailand and tagged Outrigger Thailand.